The 215-foot-high limestone arch in Virginia known as Natural Bridge has been privately owned since the late 1700s, when Thomas Jefferson bought it from King George III. As of this week, though, it’s become Virginia’s 37th state park. It will also be affiliated with the National Park Service, which makes it eligible for federal funding and a potential larger base of tourists. What makes this more interesting is the complex arrangement of public and private funding in place. The land is privately owned, but the Virginia Department of Conservation and Recreation will operate the park. The land will continue to be owned by the Virginia Conservation Legacy Fund, which was created by Tom Clarke, a businessman and conservationist living in nearby Roanoke. 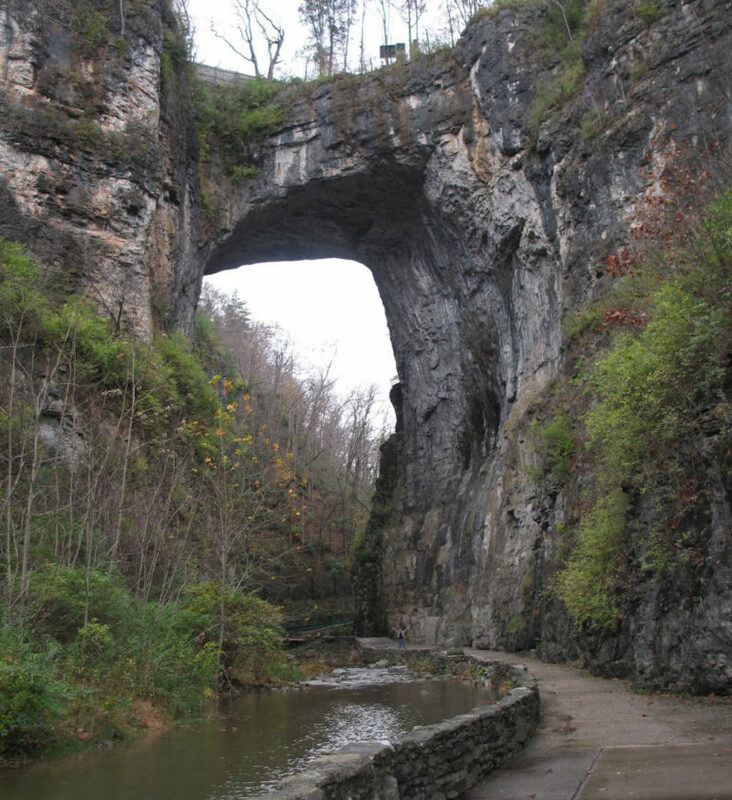 When the land around the arch, including the 500-million-year-old arch, nearby caverns and hotel, plus 1600 acres, went up for sale in 2013, Clarke intervened to avoid the land becoming 30 lots full of condos. Initially, the Legacy Fund hoped to fix up the park, make it profitable, and donate a successful operation to the state. However, there were difficulties in paying off the $9 million loan it used to buy the property. Under this agreement, the state will manage admissions and the gift store while the nonprofit manages the hotel. Profits from the hotel will go to pay down the debt, and the plan is to donate the park to the state once the loan is paid in full. The loan for the land parts of the deal was made through the Virginia Clean Water Revolving Loan Fund. Angelo Puglisi, a real estate developer who was 88 at the time of the sale, did not want to develop the property. He hoped that the state or federal government would make it a park. Eventually, he donated the bridge and some of the land to the Fund. The loans were for the remainder of the surrounding land.